Clif Protein Bars and their various specialty bars are popular. Why is that a surprise, when they’re both tasty and healthy? There are plenty of good reasons why a lot of gym goers also go for the Clif whey protein bars. They offer protein, plus more carbs that are good for energy and recovery. It also packs more calories, which actually helps people to bulk up. The higher fat content and the fact that it’s food instead of a drink makes people feel fuller, so they’re not likely to crave a snack. After all, they already had a snack with these bars! So the question is not why you’d go for a protein bar. The question now is why you go with Clif, and that’s the point of this Clif protein bars review guide. As it turns out, there are actually plenty of reasons as well why Clif is a good choice. Clif Bar & Company is an American brand. The founder, Gary Erickson, was an actual mountain guide who was also a baker who then tried out new recipes in his mom’s kitchen. He did well enough that the 1st-year sales in 1992 exceeded $700,000. The sales figures doubled each succeeding year, and they had revenues of $20 million by 1997. The company is still privately held, though Quaker Oats offer to buy the brand for $120 million in 2000. Clif Bars is still going strong, and in fact they were the No. 1 brand in the 2010 Forbes “Breakaway Brands” survey. You’ll find the Clif protein bars Amazon reviews to be both numerous and gushing in their praise. The brand is famous for only using organic content. It is also renowned for its environmentally-friendly policies and how it gave 20% ownership of the company to its employees. As for the bars itself, the fact that sales continued to rise for so long speaks of the bars’ high quality. Clif also offers various energy bars tailored to more specific markets such as women and children. So what makes Clif Bars so special? 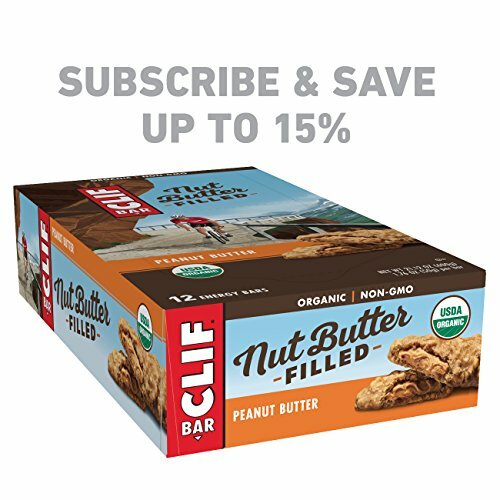 Perhaps the most unique benefit of Clif Bars is that they’re nutritious and It explains why it’s so popular. In most brands, you have to endure a nutritious yet bland protein bar or else go for a tasty yet decidedly unhealthy candy bar. Good news is that Clif offers both nutritious products, good taste and healthy. This will give you a quick boost of energy, which is why it’s a favorite among hikers, cyclists, and mountain climbers. Organic Brown Rice Syrup, Organic Rolled Oats, Soy Protein Isolate, Organic Cane Syrup, Organic Roasted Soybeans, Rice Flour, Dried Cane Syrup, Unsweetened Chocolate, Organic Soy Flour, Organic Oat Fiber, Organic High Oleic Sunflower Oil, Cocoa Butter, Barley Malt Extract, Sea Salt, Natural Flavors, Soy Lecithin, Organic Cinnamon. As you may have noticed, they’re all organic and natural. You won’t find synthetic ingredients here, including artificial flavoring. That makes these bars a lot healthier than other snack option. Dicalcium Phosphate, Magnesium Oxide, Ascorbic Acid (vitamin C), DL-Alpha Tocopheryl Acetate (vitamin E), Beta Carotene (vitamin A), Niacinamide (vitamin B3), Ergocalciferol (vitamin D2), Thiamine Mononitrate (vitamin B1), Pyridoxine Hydrochloride (vitamin B6), Riboflavin (vitamin B2), Cyanocobalamin (vitamin B12). Each bar also offers about 250 calories with 9g of protein and 45g of carbs. Total fat is just 5g, with zero trans fat. You also get zero cholesterol as well, while the sodium is low at 140mg. You also get 4g of dietary fiber and 210mg of potassium. This is actually the Coconut Almond Chocolate in the whey protein bar from Clif. Here you get creamy almond butter with tasty coconut and crunch almonds. “Delicious” is a good word to describe it, and yet it’s healthy too. The sugar content is a measly 5g, with 14g of protein to really get you going. You can find this flavor in the Clif Builder’s Protein Bar, which offers a hefty protein amount of 20g. It’s kosher and low-glycemic and it also offers carbs for more energy. If you’re a vanilla fan, then the addition of the almonds will truly enhance the taste. This flavor can be found in both the Clif Builder’s protein bar and the Clif Kid Zbar Protein bar. The fact that it’s offered in the bars for kiddies should clue you in to just how sinfully tasty this this. Yet the children benefit from the 5g of protein plus it doesn’t have high fructose corn syrup or artificial flavors. That same flavor is in the Builder’s, but this time it’s even more packed with protein at 20g. You’ll get the most out of your workout while you enjoy a delicious snack with a taste that even kids will love. While Clif offers several variations (mixed with chocolate, etc. ), the simple Peanut Butter flavor of the Clif Nut Butter-Filled is an absolute delight. The flavor is just creamy and delicious, and you get this with an organic energy bar designed for athletes such as cyclists. You also get 7g of protein and it’s also low-glycemic. This is also certified organic. The variations include Salted Caramel Cashew in the Clif Whey Protein bar, the Chocolate Salted Caramel in the Clif Luna Protein bar, and the Salted Caramel Nut in the Luna Rica. But one favorite among many Clif fans is the Luna Bar Sea Salt Caramel. Its sweet and buttery taste complements the sea salt flavor extremely well. It also makes you feel good all day with its 8g of protein per bar. This is of course a classic favorite flavor not just in protein bars and shakes, but in ice cream as well. 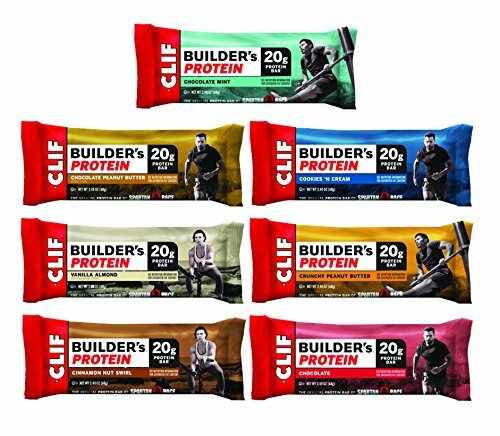 The flavor can be found in the Clif Builder’s Protein bar, with its whopping 20g of protein. This energy bar flavor has chocolate oats with thoroughly mixed in chocolate chips. As you may imagine, it’s an easy candidate for a chocolate lover’s favorite. It offers chocolate with a perfect texture. When you’ve tired of chocolate and nutty flavors, you need to switch to this one. The blueberry flavor is distinct, but it doesn't overpower. In fact, you may even taste undertones of nut and oat flavors. It’s not too sweet too. It seems like when you have a bunch of Clif fans come up with their list of top 10 flavors, this one is always included. It’s a very safe choice, as just about everyone likes it. It’s not a tiresome flavor either. Toffee and peanut is always a nice pairing, and then you also have the caffeine to wake you up. For an afternoon snack, this works fine. It also works if you’re so tired you want to fall asleep. If you have tried protein bars, then sooner or later you may have also tried a Clif Protein Bar—and liked it. But the fact is that Clif has a very long list of available protein bars, and it may be difficult to try them all. It does seem fun to try, right? So which protein bars should you try first? 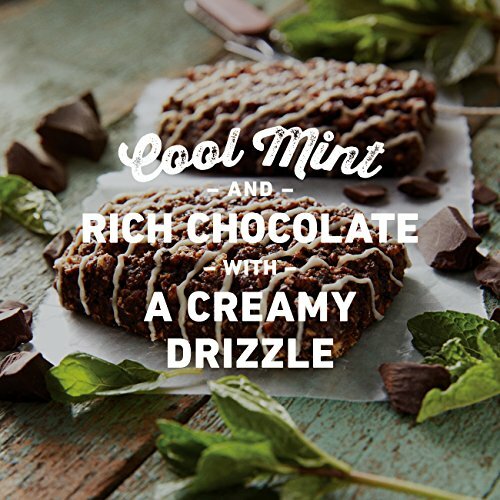 Cool Mint Chocolate is perhaps the most popular flavor of them all. As one guy said, it’s like a breakfast that tastes like dessert. Of course, this isn’t the only flavor available for the Clif Energy Bar. You actually have 16 flavors to choose from. It’s just that this is the flavor you ought to try first. It’s that delicious—trust the hungry students who gave this an average score of 9.4 out of 10. Provides you with a lot of energy for your outdoor adventures, either before or after the activity. It’s filled with wholesome, non-GMO ingredients, so there’s no need to feel guilty either. Gives you 10g of protein, 44g of carbs, 5g of fats, and 250 calories. That’s good enough for those on a low carb diet. The sodium content isn’t high either. This may not be the best choice if you’re really cutting down on calories, as other protein bars may have only 120 or so calories. But the extra 130 calories may be worth it for some. It’s simply that delicious, especially if you want to avoid extra snacks later. Clif started out with Energy bars, but it didn’t take long for them to provide protein bars that offer more substantial protein content for muscle builders. If you’re unsure of which flavor to get, you should try the 7-flavor variety pack to pick your favorites. These flavors include Chocolate Mint, Chocolate Peanut Butter, Cookies N Cream, Vanilla Almond, Crunchy Peanut Butter, Cinnamon Nut Swirl, and Chocolate. While there are no strict rules as to when you should eat this, it’s best for after a workout so you replenish your energy while your muscles also get the protein they need to rebuild. But if you want to eat a bar 30 minutes before the workout, go right ahead. It’s low glycemic, so that you get a prolonged level of energy throughout the workout session. Other great benefits of this protein bar are that it has zero trans fat and it doesn’t have high fructose corn syrup either. None of the ingredients have been genetically engineered either. The catch is that Builder’s isn’t gluten free. The 270 calories it contains may also not be the best for those who are trying to lose weight. Are you still hankering for a fruit smoothie, but you don’t like the preparation and the inconvenience of brining such a drink while mountain climbing or cycling? If so, then now you have a protein bar with a fruit smoothie taste. This style of Organic Energy Bar from Clif is available in 3 flavors: Strawberry Banana, Tart Cherry Berry, and Wild Blueberry Acai. Each is made with USDA-certified organic and non-GMO ingredients. Try the Tart Cherry Flavor, and you get a great introduction to what a Fruit Smoothie energy bar is all about. 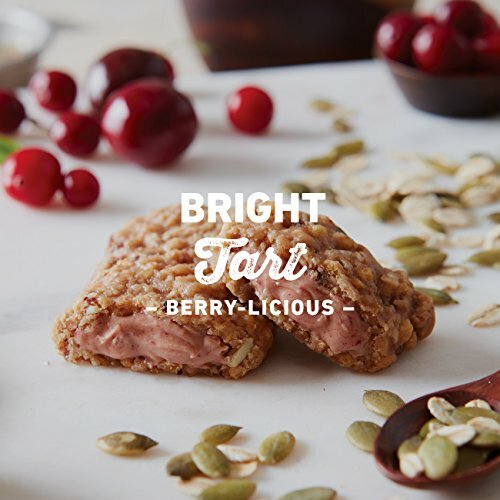 It’s a mix of cranberries and cherries that gives you this bright tart flavor. Even the flavor alone gives you the energy you need. Of course, it does offer 5g of protein, 29g of carbs, and 10g of fat. Again, the cholesterol and trans fat amounts are zero. Even the sodium has been dialed down a lot at just 70mg. Instead, you get potassium, calcium, iron, vitamin E, phosphorus, and magnesium. That’s not bad for a snack bar that tastes this good. So what’s “bad” about it? Well, it does contain cashews, peanuts, and other tree nuts. That may be an issue to those with allergies. It also contains milk, soy, and wheat. If you’re lactose-intolerant, other Clif bars may be more suitable for you. This is basically a combination of 2 types of energy foods. You get creamy and tasty nut butter that’s inside an organic energy bar. The nut butter slows down the release of the carb energy, so the energy level is sustained for a longer time. Since you’re picking a Nut Butter energy bar, we’re going to assume that you’re not allergic to nuts at all. You can then pick the Peanut Butter flavor, as it’s quite a treat. It’s so good that part of you will suspect that it’s not healthy (though it is). However, to be fair you do have other flavors to choose from. These include Banana Chocolate, Blueberry Almond Butter, Caramel Chocolate Peanut Butter, Chocolate Hazelnut Butter, and Coconut Almond Butter. This gives you 230 calories, with 7g of protein, 27g of carbs, and 11g of fat. You get zero trans fat and cholesterol, plus low sodium at 160mg. You also get magnesium, phosphorus, vitamin E, potassium, iron, and calcium. They’re all USDA organic, and they do not have artificial flavors and GMO ingredients. If you want to go backpacking through the woods and mountains, bring this along with you. Cyclists love it too. On the other hand, the peanut butter may not be the best for those with braces, for really obvious and unpleasant reasons. That’s especially true on a hike when you’re trying to impress your date and there are no mirrors around! These are delicious. It’s probably one of the main reasons why it’s so popular. Energy bars and protein bars aren’t supposed to taste this good. With so many flavors to choose from, it’s likely that one will become an absolute favorite. Clif bars are tailored for many types of consumers. You have bars for women and for children. You have protein bars and energy bars, along with whey protein bars as well. These are made from organic ingredients with no genetically modified ingredients either. It’s very safe and healthy. Compare it to some other bars (like another brand’s granola bar) and you’ll find that the Clif bars generally have fewer calories and more vitamins and minerals. They also have less fat and sodium. The sustained energy it offers can absolutely help you with your outdoor activities. Hiking, cycling, and mountain climbing can take a lot of time and effort, and a Clif bar can keep you going like no other bar. QUE: Is it better to eat a Clif bar before or after a workout? It really depends on why you wish to eat the Clif bar in the first place. You can eat it before a workout to provide you with the energy you need for your workout. But you can also eat it after a workout to help you recover the energy you lost. The protein bars also provide the protein for your muscles to use while rebuilding. QUE: Are Clif protein bars vegan or gluten free? The Clif bars should be okay with vegans as they’re made with plant-based ingredients. However, some of these bars may have come into cross-contact with other food items that contain milk. So you need to check if the allergen statement contains the warning “May Contain Milk”. As for gluten, some bars are gluten-free and some aren’t. The Luna and Luna Protein Bars are generally gluten-free. So are the Zbar, Zbar Protein, ZFruit, and Clif Energy Granola bars. QUE: Are Clif protein bars healthy? In general, they are and especially when compared to regular candy bars. You get protein, carbs, and fat, along with vitamins and minerals. You don’t get artificial flavors or genetically modified ingredients. They’re all organic. QUE: Are they good for bodybuilding? This is especially true if you go with the Builder’s and the Clif Whey Protein. The Builder’s offer 20g of protein after a workout to help you recover and to provide raw materials for the muscles. The whey protein helps you retain lean muscles. QUE: Are Clif protein bars good for losing weight? They’re certainly better than regular candy bars and calorie-bomb snacks. They can also provide energy for you so you can work out or run for a longer period of time—so you can lose weight. QUE: Are Clif bars a healthy meal replacement? Or good for breakfast? These are snacks, and not really meant to replace healthy meals. You still need a healthy diet to achieve your fitness goals. On the other hand, if you regularly don’t eat breakfast then you may change your mind when you eat this in the morning. If you check out the Pure Protein Bar, Chocolate Peanut Butter, then you’d find that in some ways it’s similar. They have similar protein content at 20g. The other Clif builder protein bars nutrition values are also very similar. Pure Protein carb content is only 16g and it has 200 total calories. These are all lower than what you’d find in the Builder’s. However, Pure Protein contains cholesterol and it has fewer vitamins and minerals. Finally, there’s a warning in the label saying “Partially Produced with Genetic Engineering. Builder’s doesn’t have genetically modified ingredients. Where to Order Them Online? While there is an official Clif website, this site doesn’t feature objective reviews from verified customers. So you really should head on over to an online retail platform. You can try the Walmart, GNC, or even the Costco websites. But the best among them is most likely the Amazon website. It’s highly regarded and very safe. The delivery is prompt and prices are reasonable. You’ll also find a lot of reviews from real customers that can give you an accurate idea of what you’re buying. With Amazon, you’ll get the full range of Clif bar varieties and flavors. You can then conveniently order many different types and flavors to find the ones you like. It’s no secret that a lot of people like Clif Bars. It’s not too common to find a snack bar that gives you energy and organic ingredients, while the flavors are absolutely smashing. You really need to try one (or a lot of flavors to be fair) so that you can become a fan too. This is for the outdoorsy type who needs to snack during an activity—but Clif also makes bars for pre-and post-workout snacks. If you’re bound to your desk, this also makes for a healthy snack. It’s certainly better than donuts and a Frappuccino! Why Can’t I Gain Weight? 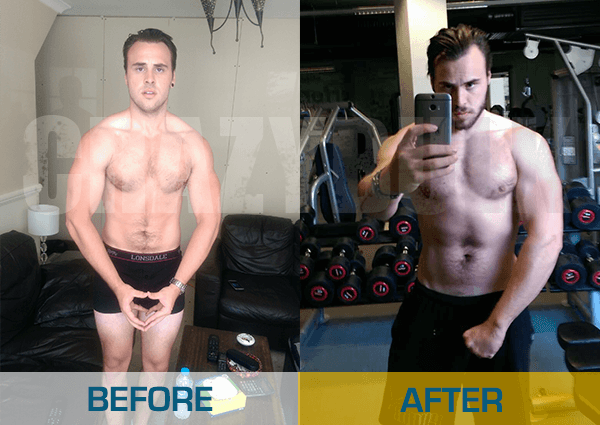 MyBodyLife is your ultimate, complete guide to achieving your dream physical form. 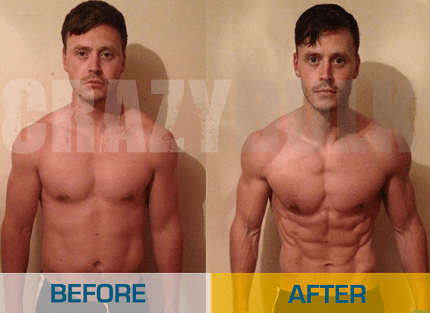 A collection of detailed bodybuilding training guides, research, intelligent nutritional tips and advice as well as all the most powerful physique enhancing supplements on the market reviewed. Copyright © 2019 swfas.org | All rights reserved.